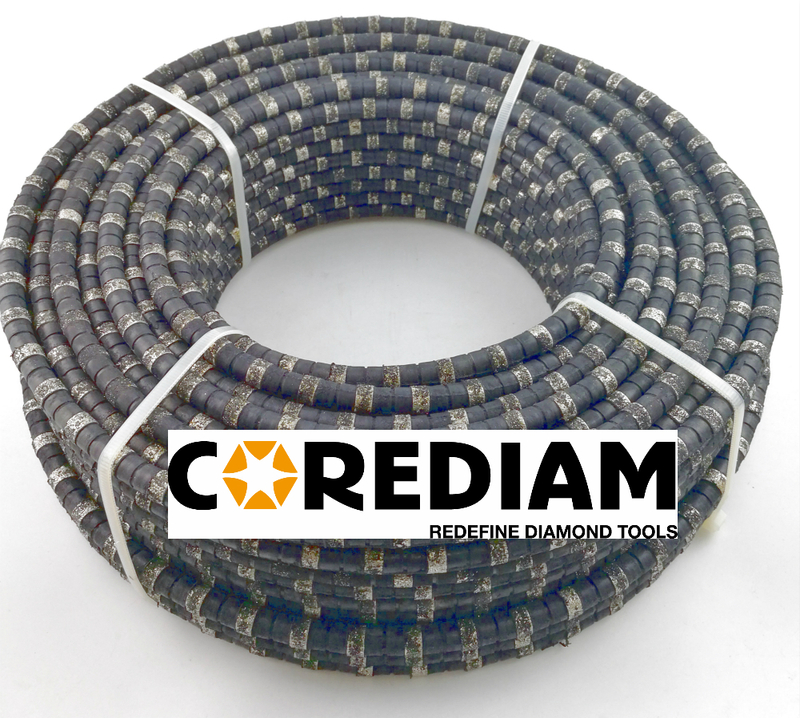 Manufactured by electroplated diamond beads, assembled by rubber and spring, Diamond Steel Wire is engineered for use with a variety of materials and numberous application, specialized in cutting steel pipe, high-content steel structures. Diamond steel wire is suitable for hydraulic wire saw and electric wire saw, common sizes for steel pipe are 10.0 mm, 10.5 mm, 11.0 mm. 10.0 mm Steel Wire have 53 beads per meter, similar with Husqvarna C1200. Beads per meter: 53 beads per meter for 10.0mm steel wire, and 40 beads per meter for 10.5mm and 11.0mm. Steel wire have good cutting speed, approved in many different markets, like East-South Asia, Europe, North America. We have full&mature prodution line for diamond steel wire, capacity is 1000 meters of steel wire per month. For batch order, delivery time of steel wire is within 7 days. Looking for ideal Diamond Steel Wire Saw Manufacturer & supplier ? We have a wide selection at great prices to help you get creative. All the Steel Wire Saw are quality guaranteed. We are China Origin Factory of Electroplated Wire Saw. If you have any question, please feel free to contact us.